Introduce your child to a love of language and a wealth of good literature, and have fun while you do it. 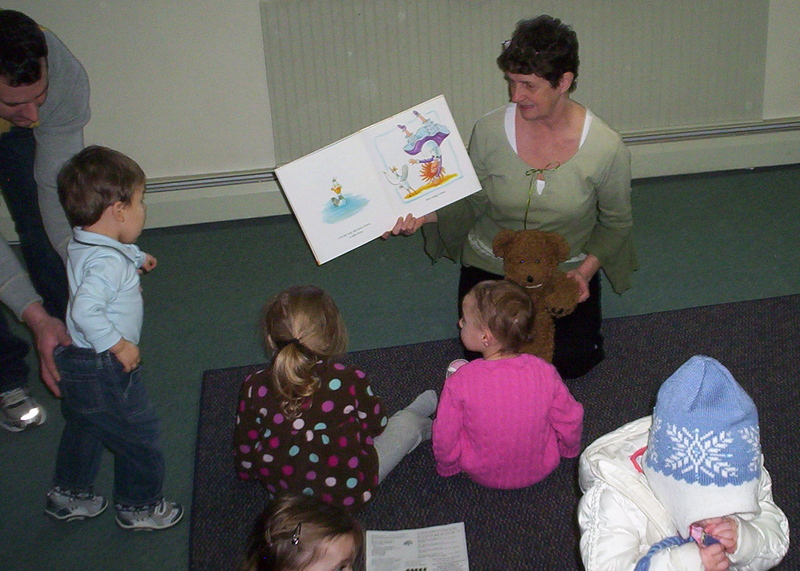 Babies and Books is a literacy-based program. Each week includes group participation with books, stories, songs, nursery rhymes, games, finger plays, lullabies and puppetry; all centering on developmentally appropriate subjects. Families, farm animals, trains, birthday parties, bath time and seasonal topics are just a few of the dozens of programs Sharon Carter Grimes has developed. Adults attending receive helpful handouts with the lyrics and motions to the songs, rhymes and games, as well as lists of different types of children's books. Infants under 6 months may accompany you and your registered child at no additional charge. No older siblings allowed. This 45 minutes class runs once a week for eight weeks. Classes run from September to June. Weather cancellations: class cancellations follow local school listings.